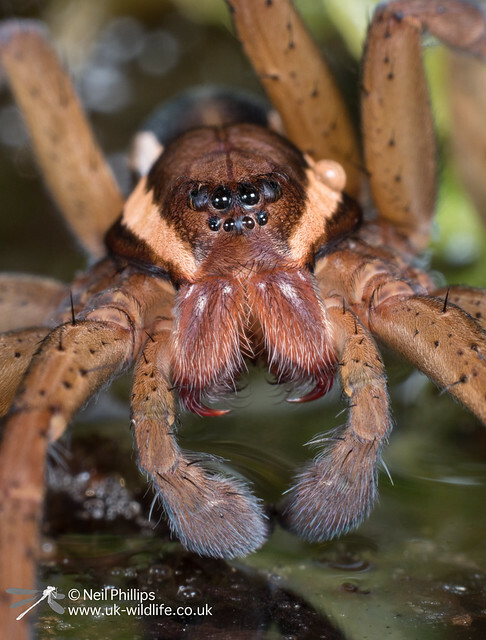 In my last post I mentioned that I temporarily captured a bog raft spider to get some photos and this post will concentrate on just them. 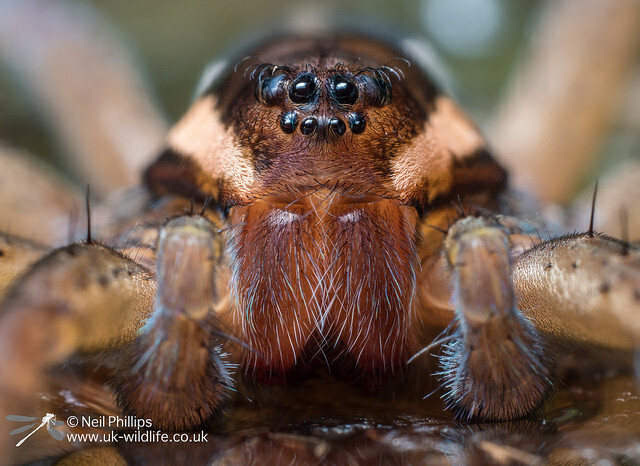 I have slight obsession with both species raft spiders, often referred to as the UK’s biggest 2 species. 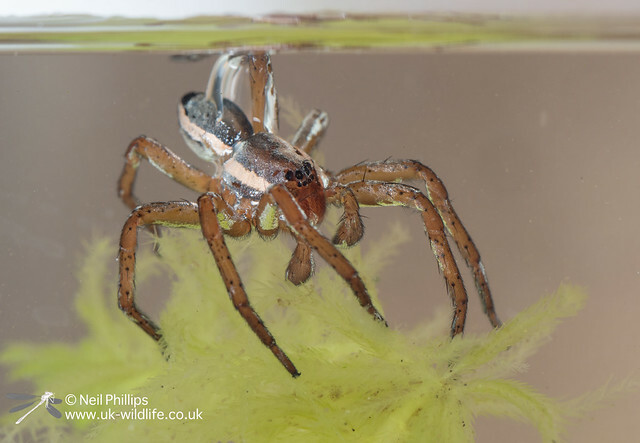 I spent a number of weekends trying to photograph them in 2015 when I was lucky enough to be shown the rare fen raft spider, but the one shot I have been after for a while is one underwater. 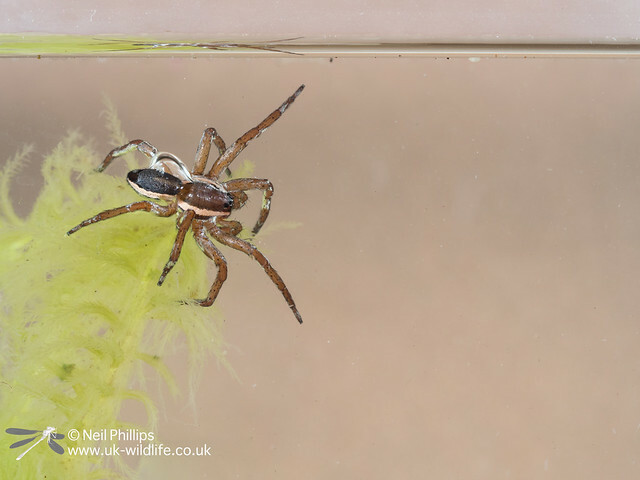 Back when I was first researching how to photograph pond creatures, I read Chris Packham’s book ‘Back garden nature reserve’, in which he suggests photographing raft spiders underwater and I’ve been after a shot ever since. Now, 7 or so years later, I have finally got the image! 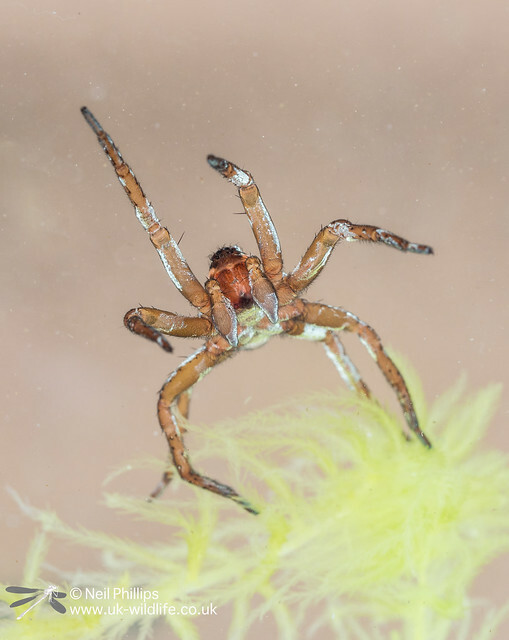 Raft spiders spend most of their adult lives on the surface of the water, but they can crawl underwater when they need too, often to avoid a predator. In this case my moving around setting up was enough to encourage a trip down a piece of sphagnum moss! 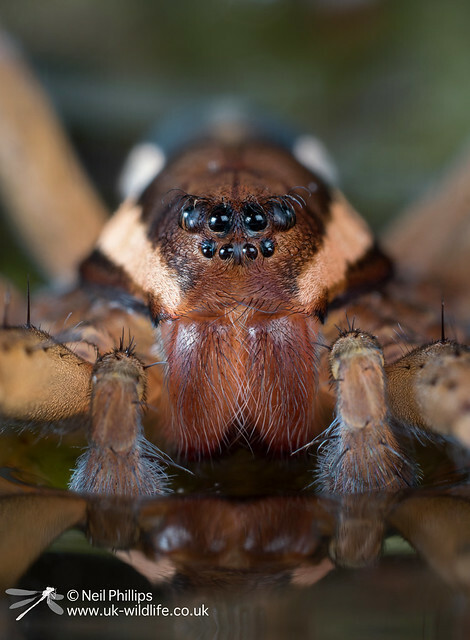 The hairs on their body trap a air bubble which both provides them with an air supply and acts a physical gill allow oxygen to diffuse in from the water. As well as the underwater shots I tried some close ups. To get enough depth of field I used the 8 image auto-stacking mode on my Oly EM1 Mkii. Here the spider had just been placed on the waters surface and had not relaxed. I went in very close for some good detail. I also took one stacked image from the side to get a different angle. When the spider began to clean itself, its movement prevented anymore stacked shots, but did enable me to get this shot showing the fangs. 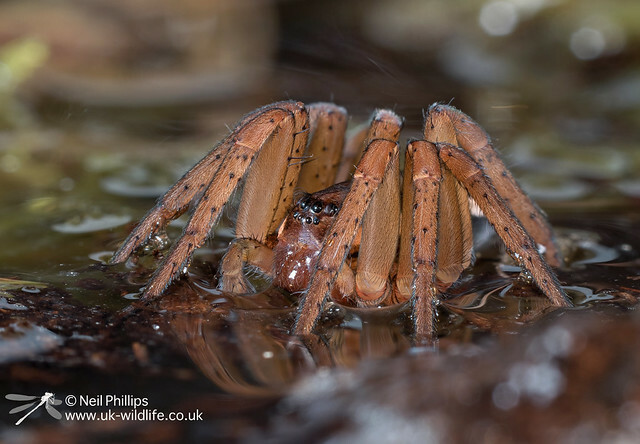 My best shots yet of raft spiders, but hopefully I shall get better in 2018! What a staggeringly amazing creature! 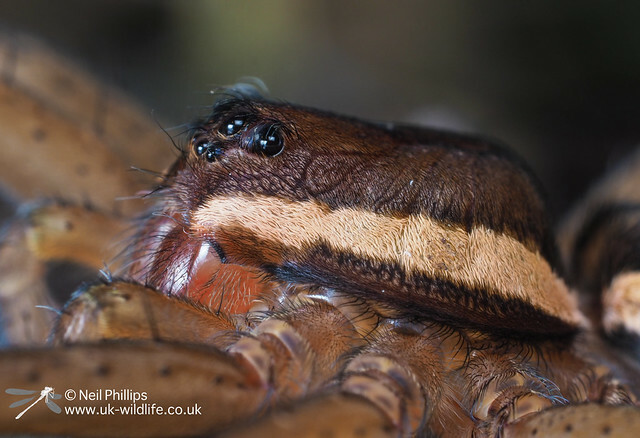 I’m about to take a trip to Thursley common, I would have thoughts it’s a bit too early to see the raft spiders on the more boggy areas but I shall be searching the scrub!